Seriously though, despite the fact that the story is full on Bananas and Ham, the strength of the scripts, the voice cast, and the fights really carry this show. Urobuchi Gen has shown he's a fantastic writer, first in animation with his various projects(Psycho Pass, Madoka, etc.) and then in tokusatsu with his work on Kamen Rider Gaim. Now he's working on this show and I am excited to see the result.
. The characters in the show are beautifully crafted, and the fluid movements are stunning which isn't common in many puppet shows. Puppetry may seen unfamiliar to many, but I think it is exactly what brings a whole new perspective to showcase a story than traditional cartoons or anime. Anyone like me will immediately see puppetry and think, "no thanks, pass" but I urge you to try it as I did, it really is rather entertaining and relaxing. Maybe because it's different. If you've watched enough anime you've seen it all, and with this its definitely something different, which I welcome. Really, give it a try, its unorthodox for crunchyroll yes, but it's most certainly entertaining. I've never seen anything quite like this series in terms of style. This series has the over the top 'wire-work' action of Hong Kong cinema combined with the CG flash of Final Fantasy all performed by Thunderbirds style marionette puppetry. If any of that sounds interesting, then give this series a try. Positives: the voice acting and action choreography. Also, cosplayers definitely need to check this series out for the insanely detailed costumes. Negatives: the puppets are pretty far down the uncanny valley (realistic looks combined with near zero facial movement) and the story seems fairly cliche. However, I did get used to the puppets and there have been some great anime that started with worse premises. Overall: I'm giving it 4 stars for the original style and the potential. It's worth a try but not for everyone. The sack glove puppet shows have been around in Southern China since 17th century, and it's what I grew up watching in Taiwan. This particular show has been a Japanese - Taiwanese collaboration, and it's a lot of fun to watch. In Taiwan, 布袋戲 is given the same status as opera in the western world. Puppets! A Puppet show I say!!!! Underneath the questionable image of pretty boy puppets lies a show with well-choreographed action, simple but memorable characters, and some surprisingly detailed production design. 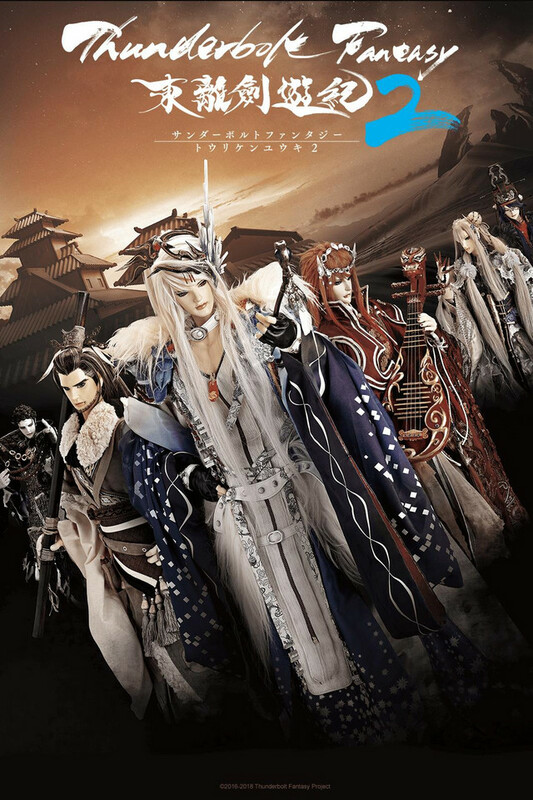 Though the story appears to be more straightforward thus far than Gen Urobuchi's usual affair, it is bolstered by its presentation, invoking the style of ancient Asian literature. Keep an eye out on this one. Another thing I can't tell normal friends, I now love a puppet show. I just watched a 23 min puppet show, and it was glorious. There are more than a few things I've grown to be fascinated by since I started watching anime that I would never have expected; cooking, Go, Karuta, and ballet. Now I can add puppets to the list. Please consider dropping those tonal mark in the subtitle for names for better understandablity and higher readability for those who are reading the sub. Or, since we are watching those JP dub, wouldn't it be even better if it use JP romanization for those proper names? This show is better than it has any right to be. The visuals are solid. I'm actually interested in the story and characters and the voice acting works fine. Who knows how long this will last, but so far, so good. I highly recommend this to anything that grew up as a fan of Jim Henson style creature features. Particularly The Dark Crystal. This will appeal to you aesthetically.